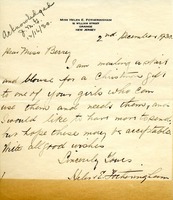 Helen Fotheringham writes to let Martha Berry know she is making a skirt and blouse as a Christmas gift for one of the Berry student's who can use them. 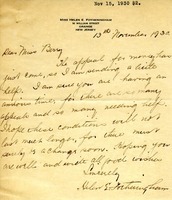 Martha Berry writes to thank Wm. 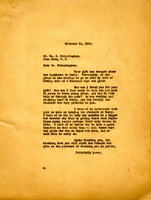 I. Fotheringham for his aid to the "Anglo-Saxon" students at Berry.